For a fresh, sweet and citrusy drink, minus the alcohol, this virgin apple flavoured Mojito is an ideal cocktail choice. 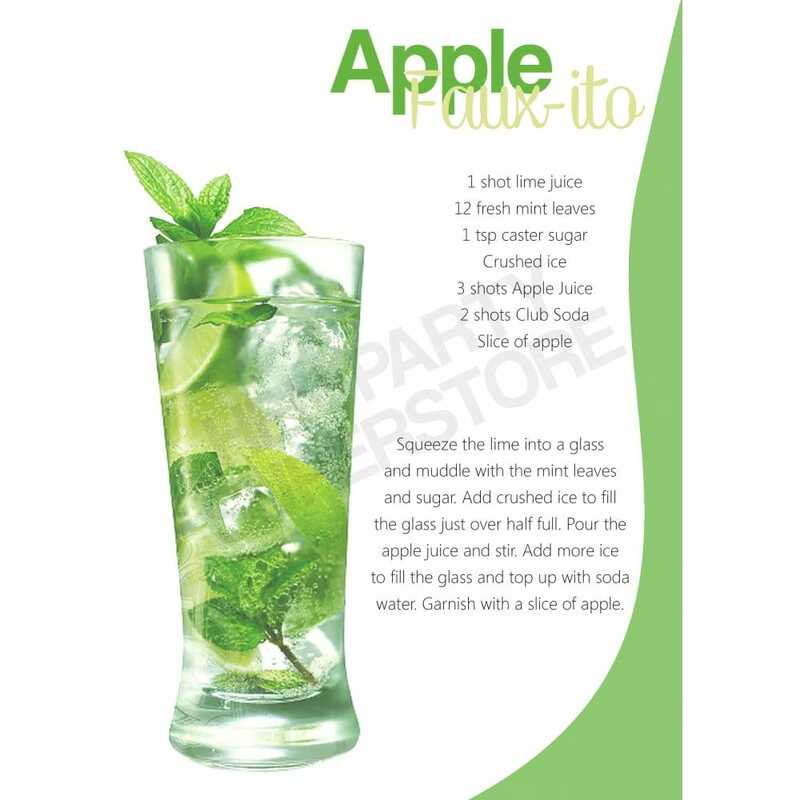 The absence of the rum adds the 'Faux' to the '-jito', so rest assured that this Mocktail is 100% non-alcoholic, ideal for those of you who are teetotal, or just prefer to watch your calorie intake. For a sophisticated Hen Party, serve this delicious, inoffensive virgin Mojito. Download and print your recipe for free at Hen Party Superstore.